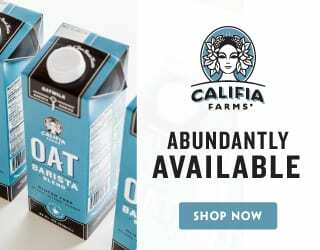 So you love a good cup of coffee in your favorite coffee shop, but now you want the same quality coffee at home. 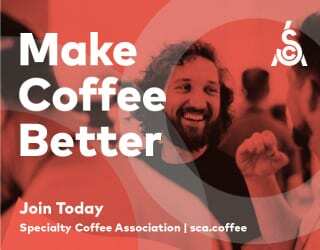 I’ve got good news for you: while making specialty-grade espresso-based drinks at home is an expensive investment, manual brewing is much more affordable. So let’s take a look at how to make your very own brew bar. 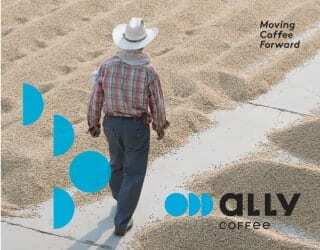 From filter coffee to immersion, this article will cover everything you need to get started. 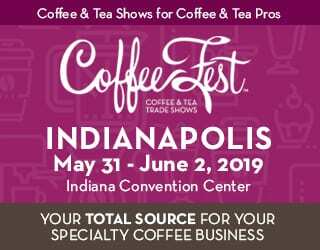 What’s more, I’ll also be sharing with you some tips for achieving great pour over coffee at home. 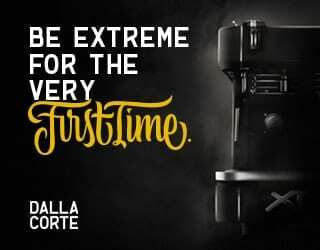 Because let’s be honest, isn’t the first coffee of the day one of the most important? First of all, of course, you need some coffee beans! 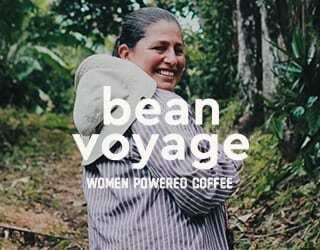 I recommend whole beans rather than ground coffee (more on why in a bit). However, other than that, it’s all down to your personal tastes. Perhaps you like your coffee floral and fruity. Or maybe you’d prefer something a little nuttier with chocolate notes? Not a problem: just ask the barista at your coffee shop for a recommendation. They probably sell the beans you’ve been drinking there, too! However, if you want to be a bit more specific in what beans you buyer, consider where your favourite coffees come from and how dark they are roasted. Knowing this will point you in the right direction in the future. 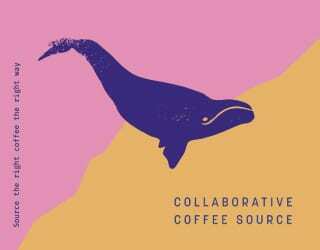 Remember, though, that your coffee’s profile isn’t just about the coffee beans. Your brew method will affect it, as will water temperature, grind size, and more. The roast date matters! 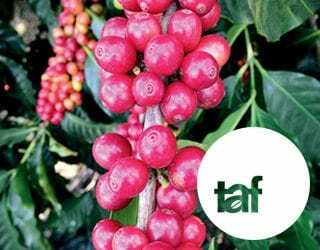 Coffee is a natural product, and so it has a shelf life. This will vary, but a good rule of thumb is to only buy the coffee you’ll drink that week. 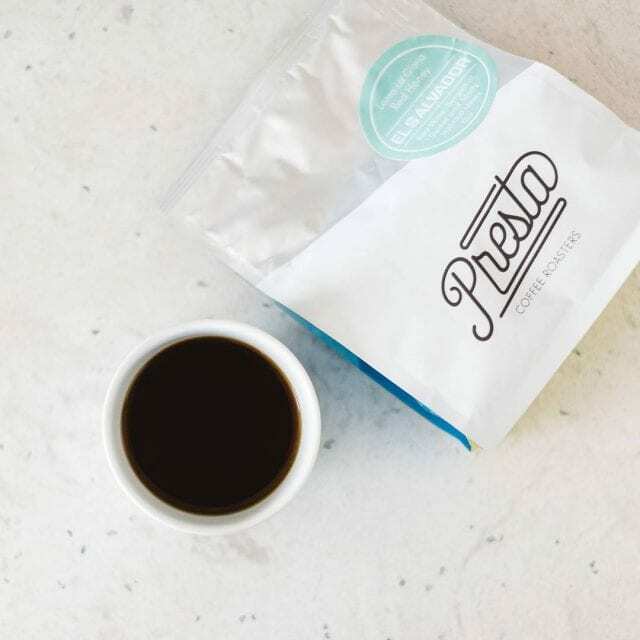 For a more in-depth take on roast dates and stale coffee, check out this guide. Store your coffee in an airtight container at room temperature, and out of direct sunlight. Oh, and never, ever put it in the fridge. It’ll absorb the aromas all the other food in there. 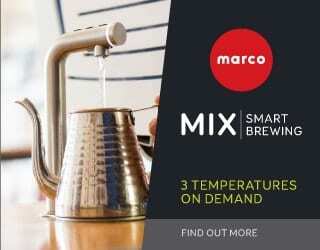 There’s a wide range of brewing equipment you can choose from. The two main things you should consider are the flavor profile you want and the ease of use. 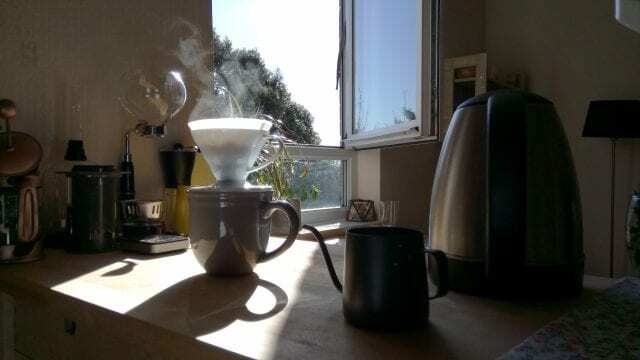 For filter/pour over brew devices, the most famous ones are the Chemex, Hario V60, and Kalita Wave. A pour over coffee tends to have a cleaner profile than an immersion one. 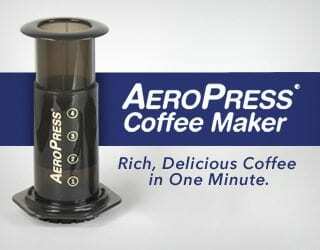 The main immersion brewing devices, on the other hand, are the AeroPress, French press, and Clever. These are associated with greater body. However, there are many more types of brewing devices! 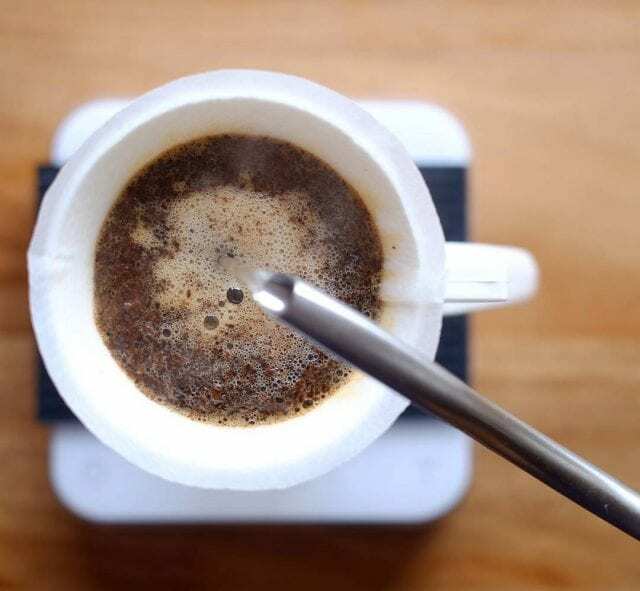 You’ll find innovative refinements on the traditional pour over methods, brewers designed specifically for use on the go, batch brewers, and more. And of course, there’s also the syphon and the ibrik – complex, traditional brewing methods which are not recommended for beginners. Trust us, you’ll understand why when you see them. You should also take into account your serving vessel and filters. Different filters will catch more or less of the oils in coffee (and, of course, will also have an impact on the environment). Keep your equipment clean. 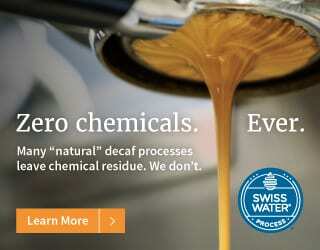 Make sure that you wash off all the coffee oils after brewing, otherwise you may taste them in your next cup of coffee. Rinse paper filters before use. Use hot water to remove the papery taste so you can have a cleaner cup of coffee. 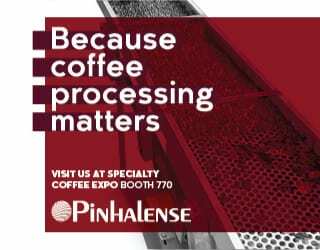 Preheat your equipment and your cup for consistent extraction. If hot water meets a cold brewing device, it will immediately cool. Then, as the device slowly warms up and you continue to add hot water, this new water will be of a different temperature. The rule is simple: the fresher the grind, the fresher the taste! This is why it’s good to buy whole beans and grind them yourself. There are two types of grinder: burr and blade. Burr grinders are generally considered superior to blade ones. This is because the coffee will be more evenly ground, which leads to better consistency. (When you make a great coffee, you want to be able to make it again, right?) On the other hand, blade grinders are usually much more affordable. Beginner home brewers may want to start with a handheld burr grinder, which can offer good quality at a reasonable price. The next thing to consider is grind size. 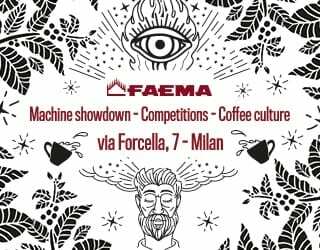 This will be dictated by your choice of brewing device, the coffee beans themselves, and your personal tastes. 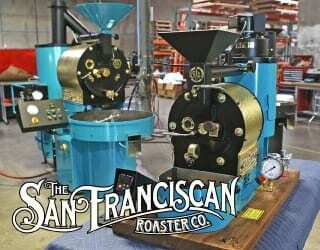 Some general rules are: the finer the grind size, the more extraction will take place due to the greater surface area. (And, in a pour over, the longer it may take for water to filter through.) The coarser the grind, the less extraction there will be. Under extraction leads to sour tastes, while over extraction will create more of a bitter flavor profile. So if your coffee is too sour, grind finer. Too bitter, on the other hand, means you need to grind coarser. 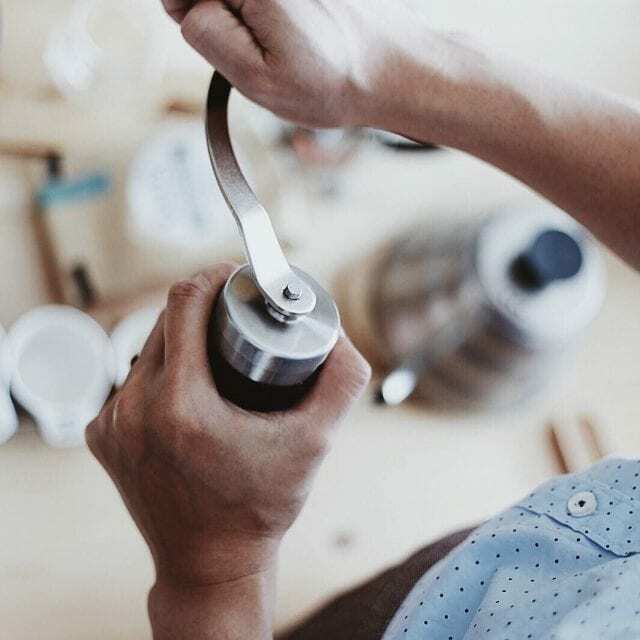 Of course, grind size isn’t the only thing that affects extraction – brewing coffee is a delicate recipe, in which you balance different attributes. Brew time and water temperature will also affect extraction (more on those in a little bit!) As of such, you may find that it’s better to change a different variable than grind size. Grind only as much you need for your brew. Ground coffee goes stale after about 15 minutes. Just like with your brewing equipment, make sure to clean your grinder after use. You don’t want any old, stale grounds left behind to pollute future cups of coffee. 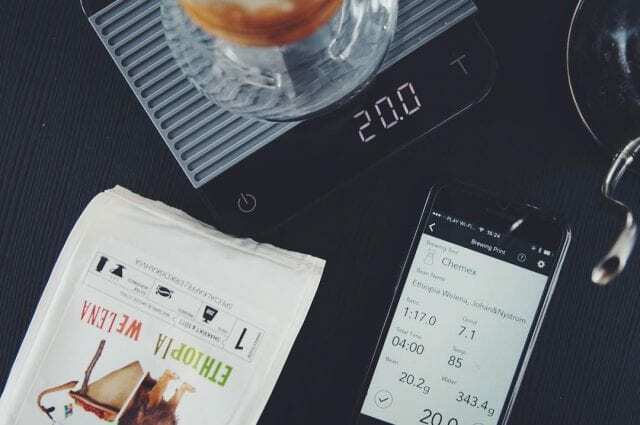 No matter what recipe you use (and I recommend using a recipe – you can find plenty online), it’ll require you to measure the coffee and the water you use. There are two ways to do this: by volume and by weight. Weight will be much more accurate and more consistent. You’ll notice that it’s what most specialty coffee shops use. I recommend it as well: it’ll help you to get the perfect tasting cup every single time. Ideally, you want a pair of scales that measures to 0.1g or more. These can range from basic to high-tech (and they normally have prices to match). The water temperature you brew your coffee with will affect how your coffee tastes. The recommended range is 90.5–96°C/195–205°F. 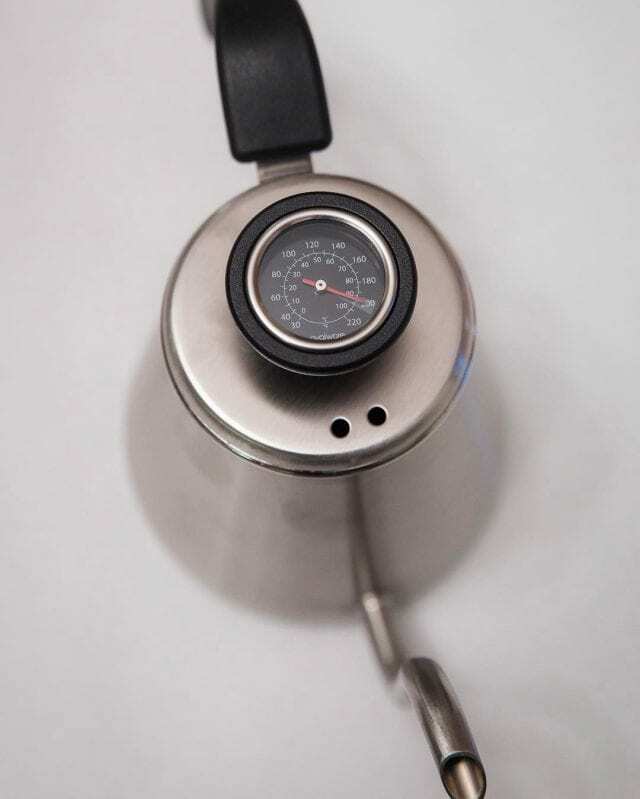 However, the exact temperature you use should depend on the coffee you’re using and your own personal preferences. Basically, the hotter the temperature, the greater the degree of extraction. (See the section on grind profiles for more details.) If your coffee is tasting too sour, use hotter water; too bitter, use cooler water. Think this is a little pedantic? 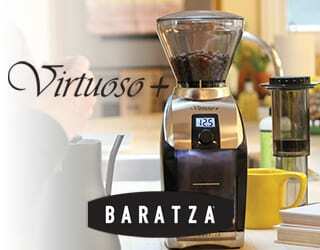 Try brewing the same coffee, with the same recipe, at different temperatures. Then do a blind taste testing. You’ll notice the differences. Brew time has a significant impact on coffee’s flavor. No matter what recipe you use, it’s important to make sure that you’re recording how long you’re brewing for. Luckily, most people have a timer on their phone nowadays. Once you’ve started recording the time, you can also adjust it if you want to amend your final cup profile. With filter, pour more of the water early on for a fruitier, more acidic cup of coffee. For greater body, on the other hand, keep pouring for longer. 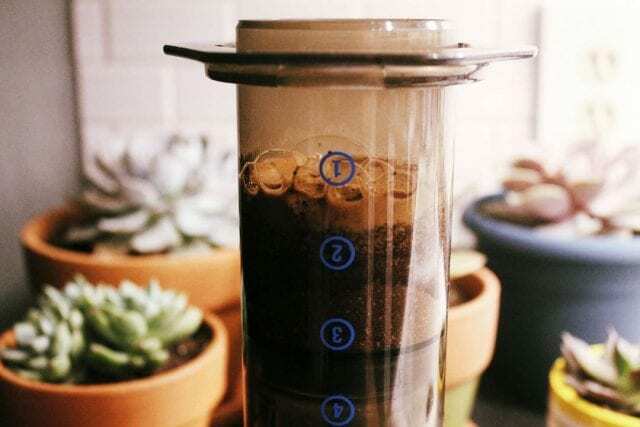 And with immersion methods, such as the AeroPress, Clever, or French press, simply change how long the grounds are left in the water. 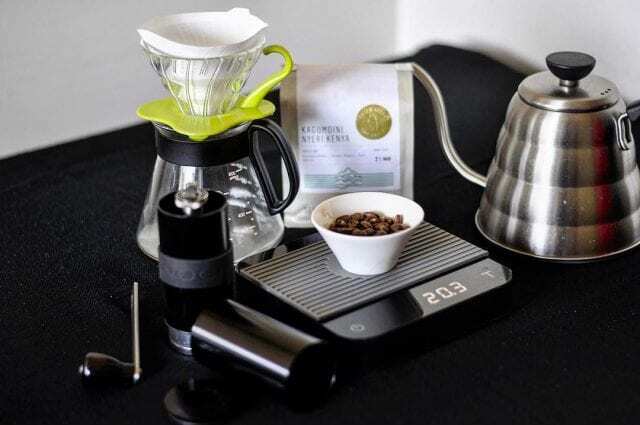 So there you have it – everything you need to start brewing your own third wave coffee at home. While this is a lot to master, it’s easier than it sounds. And, fortunately, plenty of people have shared recipes that you can use as a starting point. I haven’t included any here because they vary according to the brewing device, but go ahead and google some. Then, once you’ve mastered your chosen recipes, it’s time to start tweaking them. Play around with brew ratios and other brewing methods to get a coffee that suits your personal tastes. Refer back to this guide and even try asking a barista for some advice. Brewing your own coffee is an adventure. As you learn more, you begin to understand how to make the perfect cup every single time – and how to adjust it to your exact preferences. And what could be more fun than that?